After a decade-long search for a matching bone marrow donor, Krissy Kobata is scheduled to receive a bone marrow transplant in October from her brother, an imperfect match who was ineligible to donate before the recent development of a new treatment. But despite securing a donation, Kobata is still working to register new potential donors to the Be The Match registry to help others. Kobata was 24 when she discovered she had myelodysplastic syndrome, a condition where bone marrow does not produce enough healthy blood cells that can only be cured by a bone marrow transplant, according to the American Cancer Society. She was at the beach with her brother in February 2008 when he pointed out that her legs were covered in bruises. Though she had bruised easily her entire life, she decided to visit a doctor. That same year, Kobata launched "Team Krissy," a campaign to get more individuals to register as bone marrow donors. Since then, upwards of 8,000 — including her entire family — have registered through local drives and the internet, according to Kobata. But none have been a match for her. 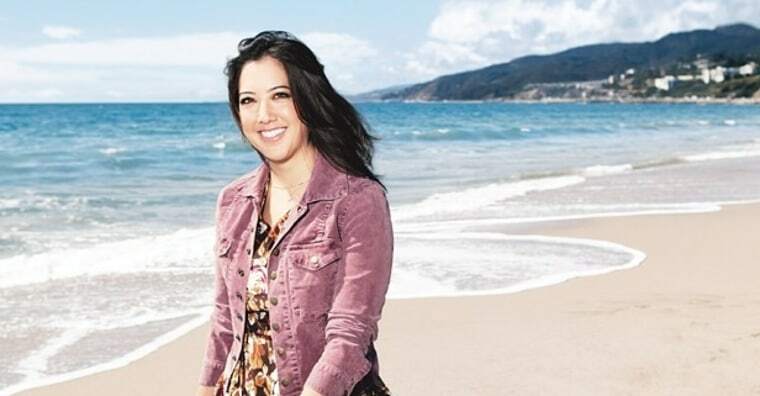 With a Japanese-American father and white mother, Kobata’s multiracial background makes it more difficult to find a matching bone marrow donor. Because markers used to match stem cell types are inherited, a person’s best chance of finding a donor may be someone who shares the same race. “The world is really turning into a mixed community, and we just don’t have the representation in the Be The Match registry for these mixed ethnicities, so it’s extremely difficult for this community to find donors,” Carol Gillespie, executive director of the Asian American Donor Program, which works with Be The Match, told NBC News. Approximately 4 percent of the national bone marrow donor registry is from multiracial backgrounds, according to Mary Halet, director of donor services at Be The Match. Kobata’s campaign has reached thousands in part due to the attention her cause has drawn from celebrities. Last week, NFL quarterback Tom Brady, boxer Manny Pacquiao, NFL coach Sean Payton, and actress Chloe Bennet shared Kobata’s campaign on social media . While Kobata had lived the past decade without a transplant, she hasn’t had to alter her lifestyle dramatically until recently. Since 2008, she has completed a triathlon, several other races, and a full marathon, she said. But in the last several months, her condition has progressed to the point where she cannot afford to wait much longer for a transplant. As a result, she is scheduled to receive one from her brother. Although he is not a perfect match, she will be undergoing a new procedure called a haploidentical transplant (or half-matched transplant), which requires that the donor is a half-match for the patient. In a 2011 John Hopkins study, doctors found that a drug called cyclophosphamide can mitigate the risk of graft-versus-host disease, a complication in which donated cells attack a patient’s body. With the drug, a phenomenon called tolerance occurs, and the patient is able to live with the mismatched cells, Halet, the Be The Match director said. Half-matched transplants have historically had a higher rate of failing and long-term outcome information for patients undergoing the new treatment is not yet known. “While Johns Hopkins published their findings a few years ago, this is still early in the advancement of transplant,” Halet said. “We do not know yet what the relapse rate will be for patients who've received a haplo transplant using this new approach." Despite being scheduled for a transplant, Kobata still highlights the difference registering more bone marrow donors can make. “Yes, I found my match through my brother, thank goodness. But that doesn’t negate the need out there for all these other patients who don’t have that as an option. And I was one of those for the last 10 years,” she said. Individuals interested in becoming a donor can do so by registering at a local drive or online. Those who opt to register online will receive a swab kit, be asked to mail back a cheek swab, and will be contacted if they are a match. Gillespie said that bone marrow transplants are recommended as a last resort and that by the time doctors tell patients a transplant is needed, the situation they are facing is life or death.